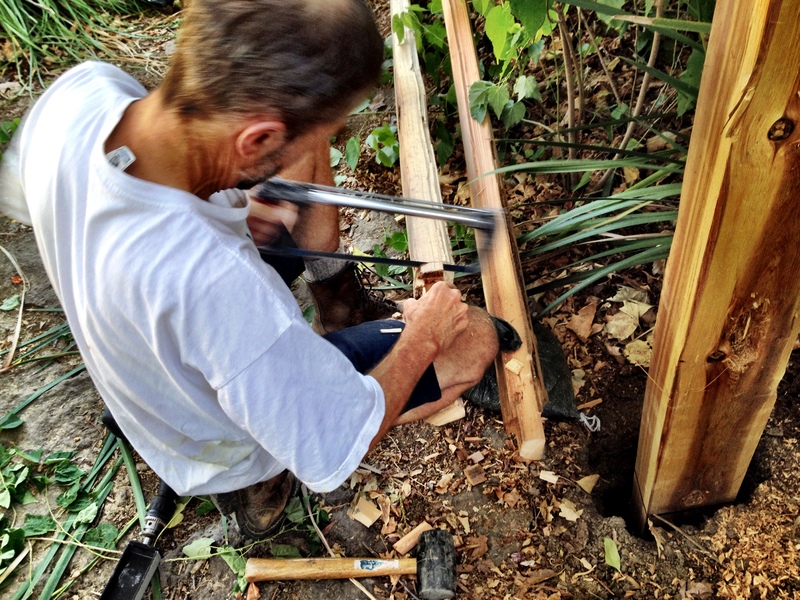 Having a split-rail fence in our front yard’s been on my list for a long while… not sure why I’ve been so bent on it–maybe I grew to love split-rail because, growing up, our front yard had one. Rustic has always appealed to me, too, so maybe that’s it. 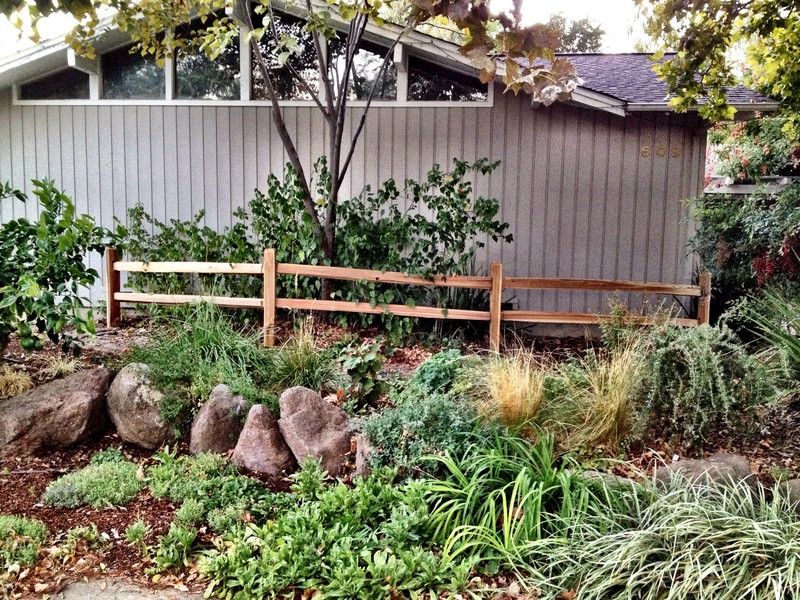 For years, Ive been trying to find ways to make our front yard more interesting, to give our house more curb appeal (real-estate-ly speaking). I’ve never disliked our front yard, but I’ve never been in love with it either. I’ve just wanted to wander down A Street and love turning into our driveway… and I really don’t. I mean, it’s okay, but aesthetically, it’s just kind of non-descript. So, I’ve been thinking of ways to give the front yard some texture, to create something visually interesting to catch the eye, and I thought a fence was at least part of a good strategy. Peter was angling for a white picket fence, but I needed to angle him away from that because I’m not really a white picket fence kinda gal. Jim pretty much has no dog in this fence fight. 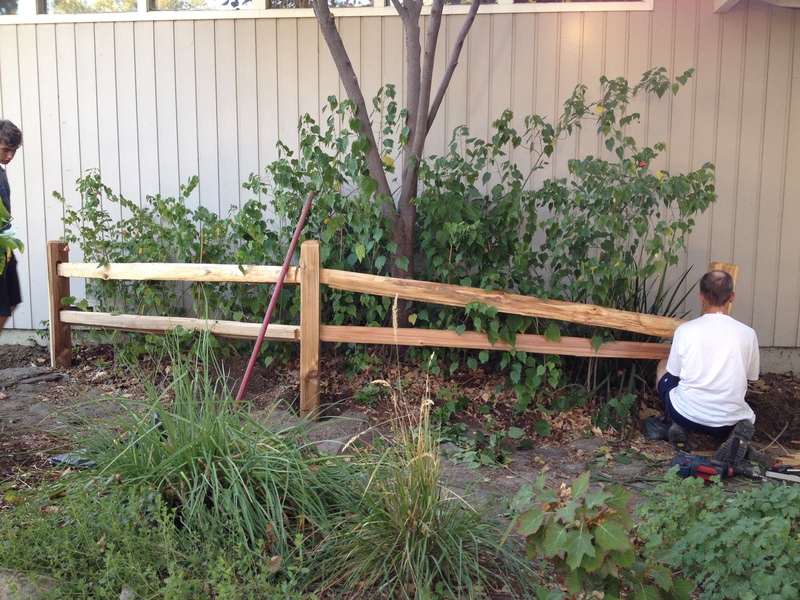 He agreed to be the non-partial fence builder, which is a good thing to have. I ended up unilaterally vetoing Peter’s idea–he wasn’t that invested in it anyway–and just declared a split-rail fence shall be built. 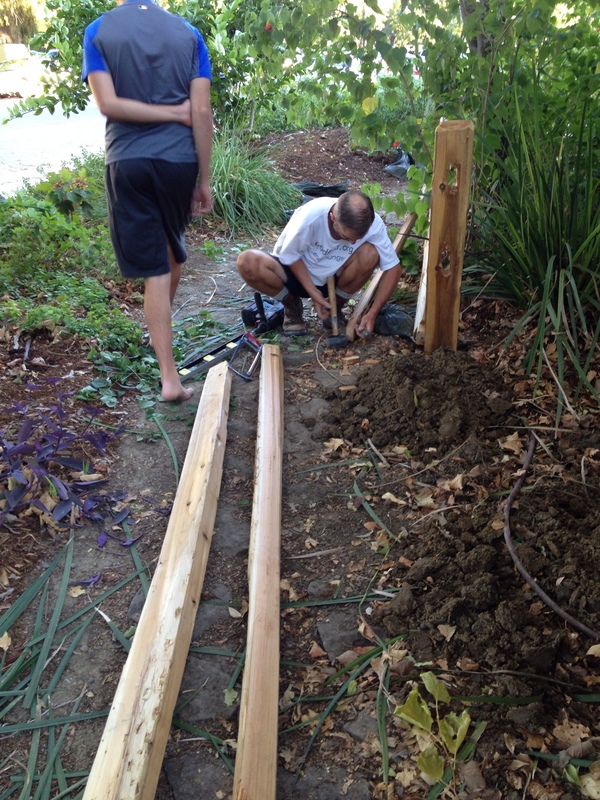 Day one: Jim dug four very deep holes and placed fence posts. 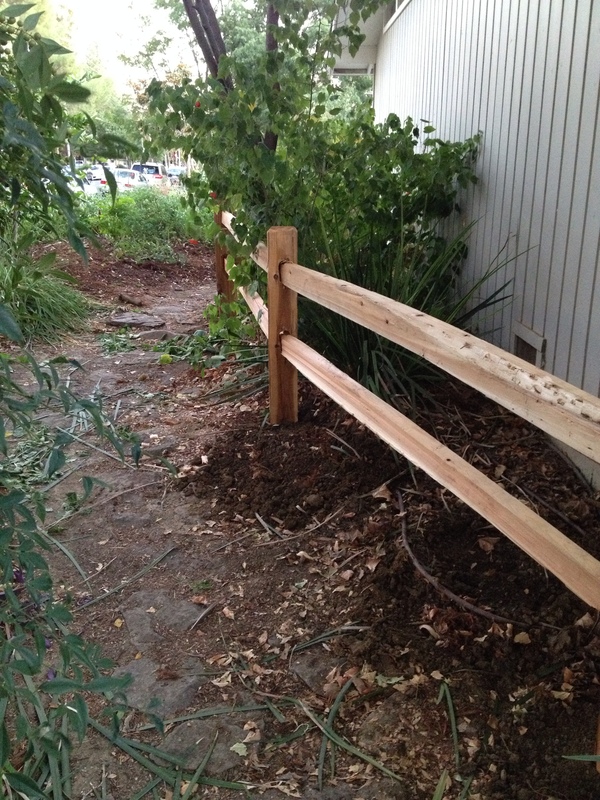 Voila: new fence and sore back. As I’ve written before, we’ll be removing this winter the large, unruly Meyer Lemon which dominates the yard front and center, and not in a good way (we’ve already planted a new one in the back yard). We’ll anchor the south side of the raised terrace with a new tree (we removed the huge tangelo last spring), something smaller than the sycamore (on the north side), and something that either blooms in the spring, turns golden and gorgeous in the fall, or both. We have to wait until the bare-roots arrive in January. And then, finally, plant a bunch of new flowers and shrubs–some to fill the holes left by departed trees and some in our newly bordered bed that will charmingly drape over the fence. Then… make a statement with some bold new house paint!